Select the color of felt. - no extra charge. We can also do custom logo felt if you desire... please contact us if you do. Optional dining seating - benches and chairs. Whether drop pockets or ball return.... all our tables work great for dining. Simplistic designer pool tables like below come standard with drop pockets. A pop up/down ball return is optional - $380.00, as shown here. ​Table shown here comes with ball return that is concealed and returns balls to the drawer on each long side. Shown with optional ball return popped down. Optional Wired Ball Return - $380.00 - (pops-up/down out of the way. Otherwise shipped with modern concealed ball pockets that also work great with dining seating. This style of table can not have drop pockets or pop up/down ball return. 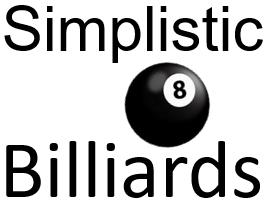 Optional Hydraulic Legs - $575.00 - All pool tables are regulation pool height with or without the optional hydraulic legs... hydraulic legs are used to lower the height approx. 1.5" during dining to 30" for more comfortable resting of arms on table. It's not a big deal to not have the hydraulics but we offer it to those who want it. Hydaulics is available on tables without the 2nd curtain below the top rail. Here is how the hydraulic legs work: The hydraulics are actuated up and down by a simple lift of the ends. Lift ends slightly to lower the table for dining. To raise to play pool - lift again slightly to actuate the hydraulics again... It's that simple. Single colored lights. Acrylic legs. Multi-colored lights not available on this style of frame. Wood legs with single color light. Multi-colored lights not available on this style of frame. Multi-colored lights with wood legs. Single color lights not available on this frame style. Multi-colored lights with acrylic legs. Single color lights not available on this frame style.